The first meeting of the Auglaize County Chapter of ORTA was held on January 22, 1975 after the state organization decided that each county should have its own chapter. 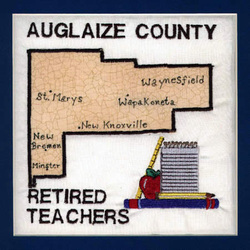 Previously, on June 23, 1967, Auglaize County had combined with Mercer County to form a retired teachers' organization between the two counties. Through the years, members have served in state offices and have seen former pupils become active in professional fields, as well as agriculture and volunteerism. Members follow the saying, "Giving is doing for other" by taking a leading role in civic and church activities, fund drives and adult education. Meeting four times a year, the ACRTA is enriched by interesting programs, good food and the fellowship of long-time friends.